Rome: Ccadle of civilization! Rome: heart of the largest empire the ancient world has ever seen! Rome: shining beacon of order and justice amidst the barbarian hordes! Rome: yours now to command! 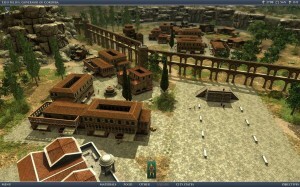 Grand Ages: Rome puts you in the role of a regional governor during Rome’s rise to power. Your will decides if the people of the Republic will stand astride the world, or if plague and the barbarian hordes will extinguish the light of wisdom. Feed the people bread and circuses, and theywill love you. Allow them to starve, and you can play the fiddle while empires burn. There’s really only one question that must ultimately be answered: Are you not entertained? To begin Grand Ages: Rome, you must choose your heritage. There are five families that you can choose to be a part of, each with varying strengths and weaknesses. Some will be better suited to controlling armies, while others know how to get the most out of citizens and slaves. Once you choose your family, pick a name, and decide whether you will be a governor or governess, you are introduced to your patron. Rather, one of your patrons. There are many needs that will be put upon your shoulders in addition to running your cities. Your task is not just to create a perfect society in several provinces, but to help advance certain goals and subplots as well. You must house and feed the citizens, give them work, earn money, entertain the mob, and put down various uprisings and revolts. There is a lot to do on each map, and you can be overwhelmed if you are not planning five steps ahead at all times. As you progress, you gain and lose favor with historical figures. Do enough good for one person, and Gaius Julius Caeser might come out on your side. Do enough for his enemies, and you might end up helping to stab him in the back. 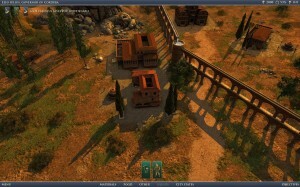 During the course of the game you will move from helping small farming provinces to eventually controlling huge cities. This is a huge task, and if you lose sight of your objectives for a few seconds you will be cast down from the seat of power. Fortunately, the game also includes a free play mode that lets you just have fun and build. This stress free setting really lets you just cut loose and have a good time. From white, marble pillars to dirty, squalid slave quarters, Grand Ages: Rome has it all. The game really is a beauty to look at, and the screenshots don’t do it justice. You have to see it in motion to appreciate it. Citizens will walk from their homes to their jobs, work the fields, fell trees, mine ore, and more. When you build a forum, people will walk about it extolling your virtues or screaming about how you plan to raise taxes. In fact, even while you build, you will see a bunch of construction workers standing around with a foreman in the middle holding blueprints. Just about every building has an animation. Pig Farms have a bunch of, you guessed it, pigs wallowing in fields. The Coliseum sadly lacks a chariot race, or lions eating criminals, but I can forgive that because it features a little one-on-one battle to keep the masses entertained. Bread and circuses indeed. Grand Ages: Rome also features day and night cycles, and while there’s not much of a difference in what is going on the city, it is cool to see the lights come on and brighten the night. Weather effects are typically limited to rain and wind, but if you are near the ocean then you will see tides gently brushing your sandy shores. Your view at it’s closest is about twenty feet above ground, and you can zoom out all the way to see the entire map. The game pauses at this level, but it does let you see all of the resource deposits available to your plundering hordes. The game does not, however, pause at any other time. 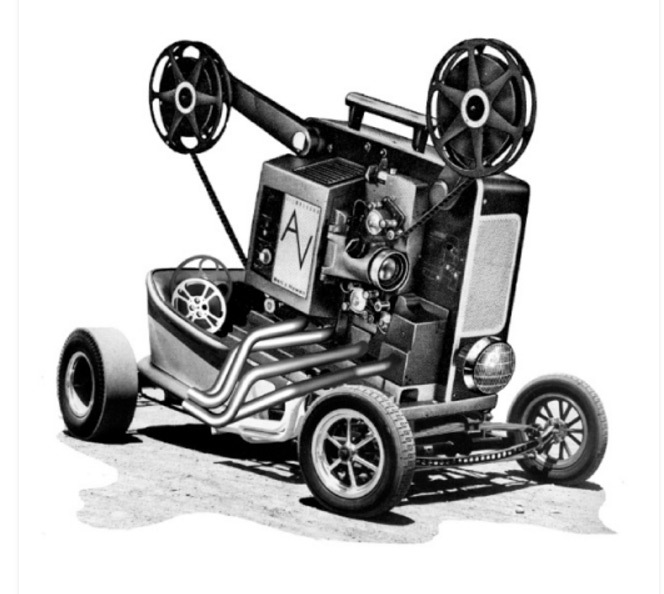 I’m talking about slowdown, and the wonderful lack thereof. With buildings burning, archers firing in towers and supporting a couple troops of hastati who are themselves fighting barbarian horsemen while a trade caravan swings by the trade post, the game never stuttered. That’s quality. The only real problem I have with the graphics is that the detail of combat is lacking. Legions only hold their lines until they get close enough for a real melee, at which point it dissolves into a brawl. While this is natural, you can’t quite see the exact details of swordplay. 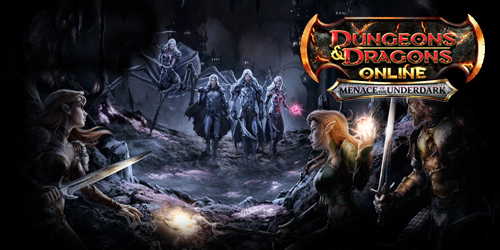 Minor quibble, but for those of you looking for an actual hack and slash strategy game, keep looking. Most of the sound here in Grand Ages: Rome is environmental and aesthetic. Saws buzz through wood, trees creak as they fall, pigs squeal as they rut in the mud. Always in the background is the vox populi-a constant chatter of merchants hawking their wares, soldiers training, people shouting as they go about their lives. There is a lack of individual voices for encounters-your troops will not scream, “We’re under attack!” Neither will miners yell, “We’ve struck gold!” However, that suits the game just fine. The amount of work that is done in your cities would eventually merge into what is already offered-a background murmur, mostly unintelligible, but with an occasional insight into how the public is thinking. The music here is well done, but I think poorly implemented. There’s enough tracks and they all sound authentically imperial, but the cues are somewhat missed. I don’t need a triumphant horn section when a riot breaks out. Aside from that, the music just gets out of its own way and allows you to enjoy the game, which is all you need it to do. 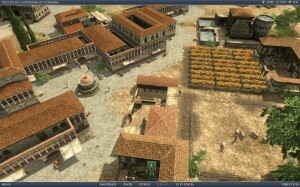 To call Grand Ages: Rome a Real Time Strategy game is like saying New York City has some buildings in it. Both of those are huge understatements. You will not tire of new things to experience in this game. First off, your resources. There is Denarii, which is your money. There is the population. There is food, lumber, stone, brick, iron, bread, meat, olive oil, wine, linen, goods…I could go on. Fortunately, most of this is handled by what is being called Flow Resources. What this means is that as long as there is an influx of the correct items, you don’t have to worry about stockpiling and warehousing. In fact, the only thing you really control is money, and even then you are free to go into the negative as long as you eventually turn a profit. Popularity is another concern-if you become hated enough, you’ll get no money and have to deal with riots, fires abandoned homes, and generally not be able to expand because of issues at home. Everything is controlled by not much more than two mouse buttons and a few hotkeys, and the game will offer constant hints on where to place buildings in order to maximize their effectiveness. That isn’t to say that figuring out what you need is easy though. Sometimes you will find yourself wondering why you can build one structure and not another, particularly if you are in a hurry and need a specific structure right now. After a few introductory missions, here is how things play out: You view a map, with pictures of certain senators, military commanders, or others asking you to do things. The choice of what task to undertake is up to you. You may have the choice of establishing sea trade routes on one coast, or rebuilding a city after it has been devastated by an earthquake, or wiping out a series of barbarian camps that threaten the republic’s interest. 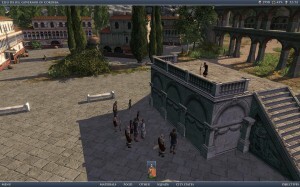 Most missions also have secondary objectives that can be carried out for extra denarii or other bonuses. Upon successful completion, you earn talent points that can be used to purchase extra skills for your character. For example, one of the first talents I picked up was the ability to instantly build the first five buildings in your domain. You can also choose to have those five buildings become free, or to start with more research already established, permanent trade routes…again, I could go on. It lends a wonderful sense of permanence that most RTS games lack. Now, let me speak briefly about the strategy aspect. Anyone who is expecting to play by building farms, barracks, a ton of legionnaires, and then conquer everything on the map…go find a different game. Military might is typically your last line of need. There is a complexity here that rivals most games I’ve played. You begin with an Outpost, and go from there. Let’s say you want a working lumber mill. So you build one. It needs works, so you build an Insular for them to live in. Well, they need to eat. So you build a wheat farm. Well, it needs workers. So you build another Insular. Well, no one really wants to eat raw wheat when they can have bread. So you build a watermill and a bakery. Two more Insulars to staff them. Man cannot live by bread alone. Pig farm and butcher shop will solve that problem, right? Two more Insulars to staff those. Since no one buys food straight from a farmer, you’ll need a Farmer’s Market. Yep, staff for them as well. And they need fountains for hygiene, streets for entertainment, bricks for construction, stone for upkeep, you get the picture. And all of that is just the first level of the technology tree. By the time you are ready to start recruiting soldiers, you had better know how to keep the rest of your people happy. I haven’t even mentioned combat yet, but it takes a relatively easy route. 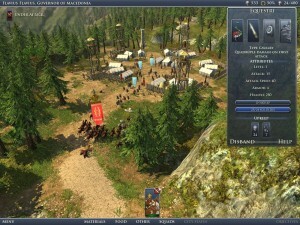 Your basic unit is the Hastati, which can be recruited from your Outpost. While not engaged in battle, you can train them to increase their levels of health, attack, and defense. Each unit has a countdown until they can use a special power, such as the Hastati’s Pilum. There is not a whole lot of formation and tactics interaction to worry about, and numbers usually win out. One level two unit will usually win out against a similar level one unit, but it will absorb a lot of casualties. To stem those casualties, you can drop a Camp, and that will slowly replace lost soldiers. When you do go fully into a military economy, there are a lot of unit options, from archers and horsemen up to eventually giant war elephants. These monsters never forget to stomp your enemies into jelly. 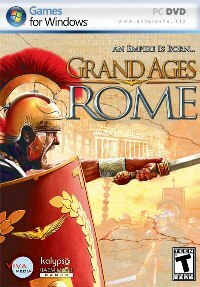 Grand Ages: Rome is a game that could be played again and again until the second rising of the Roman Empire. Not only does it feature a branching, choose your own strength campaign, but there are five different Families to choose to play as. Each of them allows for a different strategy to guide you overall. The Aemilli, for instance, are your militants. You might choose to name your character Maximus, for instance, while playing with them. The Valerii are the merchant trader family. I chose that family and named my character Vetinari. Couple that with the chance to play as a male or female, and you have more options. Just one playthrough is likely to take you a while, as there are over forty missions. 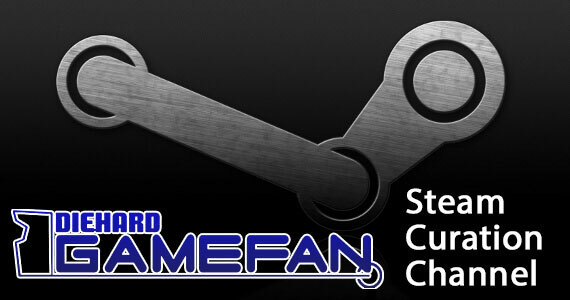 Have I mentioned there is online play also, and several different modes? You can play to a certain amount of denarii, battle for control of a map point, or even just the standard, “I’m better than the rest of you,” that most games of this type feature. One of the neater things about during the game is that you can keep playing a mission after victory is achieved, in order to score the bonus objectives or just have fun. Looks great, plays well, sounds fine, so what’s the problem here? Ever try to balance an Empire on your shoulders? This is not an easy game. Until you get the hang of it, the Republic will mock your puny efforts to rule it. Want an example? Sure you do. The first mission of the game sounds simple. Build 15 houses, and make the people well fed. Sounds easy, right? If you remember that each farmhouse needs also living house to supply it with workers, then it sounds really easy. I couldn’t have been more wrong. I might have played that first mission more than a dozen times, with each attempt ending in fire. No matter how many farms I produced, it barely helped the food satisfaction rating. Before long, the people would start demanding entertainment and temples to worship at. The Farmer’s Market is what saved me. That one structure, when placed close enough so that the effect radius touches multiple houses, makes a huge improvement. Just tossing out an Imperial Kwik E Mart won’t save you all the time though. Managing crime is a huge task, best resolved by keeping everyone employed. If some roving Barbarian horde destroys your Iron Mine, those workers are now out of a job. If you can’t get them re-hired in time, they’ll become criminals. Also, the next step up from basic citizens, also known as the Plebe, is the Equite. If you move them in though, they might put a Plebe out of work. You can’t just build houses and jobs either, for if you lack amenities like water then the plague will rip you apart. Nor can you force the public to do your bidding. I lost track of how many times I became frustrated and thought to myself “Put down the torches! I’m trying to save you from the horrors out there! If you don’t stop burning down my barracks I’m going to let the pirates pillage you.” There are actually a lot of principles of government at work here. However, you might not want to play a game that has such a strong parallel with the real, modern world. Sadly for the developers, this type of game really isn’t anything new. We have seen empire building before, along with most of the RTS trappings. City building and construction isn’t exactly new either. That said, I haven’t played a game before where so much of your success or failure depends on the favor that you carry with your people, or the rapid and painful response that crime brings. It is not uncommon for a riot to break out and burn down your barracks in the middle of a war. That type of costly, painful, destruction from within event is new. New, and very evil. Despite an occasionally challenging and unfair nature, I found myself coming back to Grand Ages: Rome again and again. Often neglecting other games or things I was supposed to be doing. The combination of city building, entertaining combat, and the resource management Flow System works really well to keep you in Rome. The game doesn’t move at a breakneck pace, either. You tend to feel like you have a good amount of time to progress at your own pace. The balance of the game does hurt this category after a lot of play through though. The frustration of watching another city start to burn because some idiot farmer couldn’t decide if he wanted to go to the Coliseum or the Temple of Jupiter will dampen your spirits. Just like some other games out there, the best advice is to save early and save often. If you have ever played a SimCity game and thought to yourself “I really want to be more in touch with the people,” then this game is right up your alley. In fact, I would recommend it more for that crowd than the Starcraft or Command and Conquer crowd. I’m not saying that Grand Ages: Rome has unsatisfying or poor combat-just the opposite, in fact. The combat is a lot of fun. Combat just doesn’t happen easily or at all early on. You also need to have a love of historical settings to really enjoy this game, as it does not just use Rome as a setting. Depending on how you play, there is almost a historical retelling here. With nothing to really dissuade the PC strategy gamer against this aside from some difficulty issues, I want to take a few seconds to put some other Empires into your thought process. Rome really did inspire the rest of the world, both in reality and fiction. Look at the Warhammer 40,000 games, for instance. Much of that setting draws from Roman Imperialism. The Galactic Empire of Star Wars would not have been thought up if it were not for the ideas of regional governors, Senators, and councils that the Romans established. Even our own English, French, and Spanish Empires were, throughout history, modeled after or influenced in some way by the Romans. If you are at all interested in any of these other Empires and have a lot of time to kill, you would enjoy this game immensely. FINAL SCORE: VERY GOOD GAME! Grand Ages: Rome is a wonderful game to while away the hours as you look down on your citizenry with a measure of wonderment and authoritative apprehension. Feel free to bask in their adulation when you please the masses, but be ready to quell the fires of an uprising with a firm word from your Praetorian Guard. Though the strategy involved leans more towards City and Empire building than conquest, people looking for a deep experience will marvel at having to create a working economy before you send soldiers into the field. There is also a steep learning curve involved that is mostly intuitive. If you can get past those difficulties you will ultimately truly feel as though you’ve earned the title of Emperor.